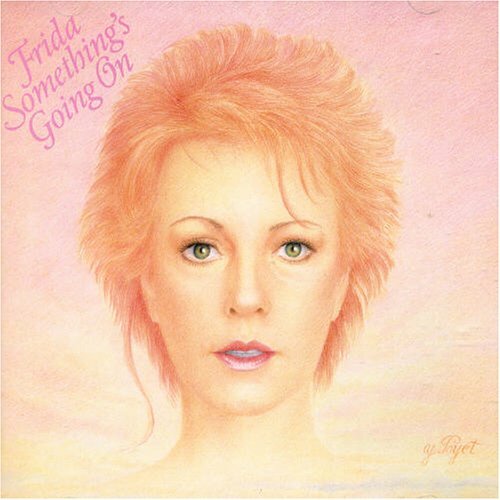 “I Know There’s Something Going On” is a song recorded in 1982 by ABBA singer Anni-Frid Lyngstad (Frida). It was the lead single from her solo album Something’s Going On. The song was a huge hit around the world during 1982 and 1983. Recording began in ABBA’s Polar Music Studio, Stockholm, in February 1982. As ABBA were unofficially on a break, Lyngstad spent time on her solo project. At the time of recording this song/album, Frida wanted to distance herself from “the typical ABBA pop sound”. “I Know There’s Something Going On” was written by Russ Ballard and produced by Genesis drummer & singer Phil Collins, who also played drums on the song. The back-up vocals are sung by Lyngstad herself & Collins. The song and video were released in Autumn 1982 and became a massive hit. It hit No. 1 in France (spending five weeks on top), Belgium, Switzerland and Costa Rica and was a Top 10 hit throughout the whole of Europe, as well as in Australia and South Africa. In the United States, the track reached No. 13. In the UK, the song peaked at No. 43 in September 1982 and spent seven weeks inside the Top 75. The single sold 3.5 million copies worldwide. A one hour TV documentary about the making of the album and this song, is included in Frida – The DVD. The whole recording process, from day one in the studio to the release party, was filmed by Swedish TV SVT. This documentary includes interviews with Frida and Phil, Björn and Benny from ABBA, as well as all the musicians playing on the album. The music video was directed by Stuart Orme and filmed at several locations in London, England in early July 1982. The video, which received heavy promotion on MTV due to the worldwide success of the song, shows Frida as a young woman in a struggling relationship. She then discovers through photos taken at a fashion shoot that her husband or lover is seeing another woman. The video is included in Frida – The DVD.